The Psychedelic Aliens described their music as "Psycho-African Beat," and if "Psycho" isn't as important as the other two parts of the equation, that's not to say that their music doesn't sound trippy and adventurous by the standards of the time it was recorded (1969 to 1971), or even the present day. 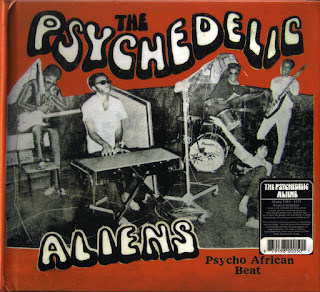 The Psychedelic Aliens were a band from Ghana that fused funky R&B grooves with rock-influenced guitars (Jimi Hendrix was clearly a touchstone for guitarist Carl Ricky Telfer, though he reaches for his feel more than his flash), and African rhythmic and melodic textures, and while their music was leaner and less kinetic than many of the pioneering Afro-beat acts that would follow, it generated a powerful sense of groove suggesting a meeting between James Brown and Fela. 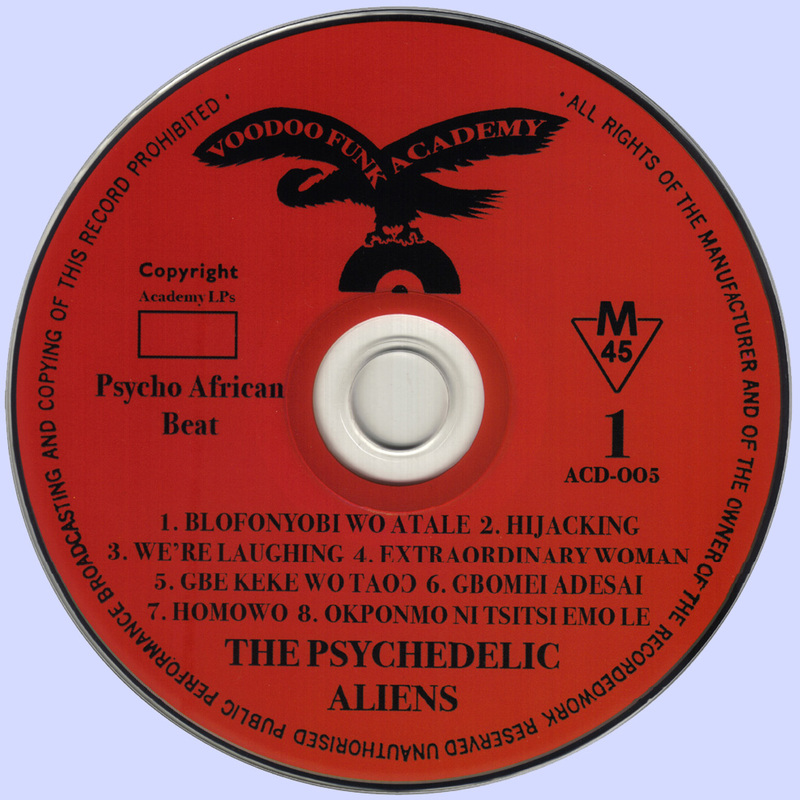 The Psychedelic Aliens cut a four-song EP and two singles for Polydor's African branch, and all eight songs are included on this reissue from Academy LPs. While the recording is frustratingly flat sounding and the short length of the songs (the longest track here is just 3:11) prevents the grooves from growing into something truly epochal, none of it dampens the genuine excitement the Psychedelic Aliens could generate when they played, and the interplay between guitarists Telfer and Reyad Couri, the loping basslines of Lash Laryea, the fierce but jazzy organ breaks from Malek Caryem, and the percussive skills of Smart "Pozo" Thompson (trap drums) and Patrick (congas) coheres into something that was truly unique, a fusion of rock and funk with a truly African viewpoint. 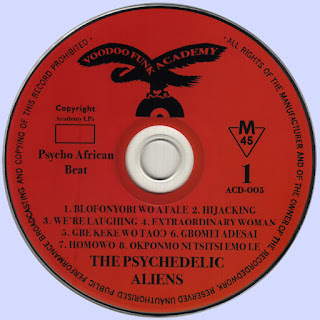 Running a bit less than 24 minutes, the biggest disappointment of this disc is that there isn't more music, but what's here is unique, exciting, and joyous; if ever there was an obscure band that screamed out for proper rediscovery, The Psychedelic Aliens are it, and Academy deserves kudos for making this music available outside Africa for the first time.